Ameronix was founded in September 2006 by co-founders Brian Harris and Mory Wood. The two began providing desktop and server support for First National Brokerage in Richmond, VA. In between cleaning up computer viruses and server backups, Brian and Mory began working in PHP, building various scripts to automate some tasks for FNBC. FNBC was fast approaching the limits of their existing agency management system. Instead of buying an off the shelf software to replace the aging system, they put their programming experience to good use and starting writing code. A few months passed and the new system was in production. Conversion scripts ran each night to import, export, clean and re-organize data from the legacy system. 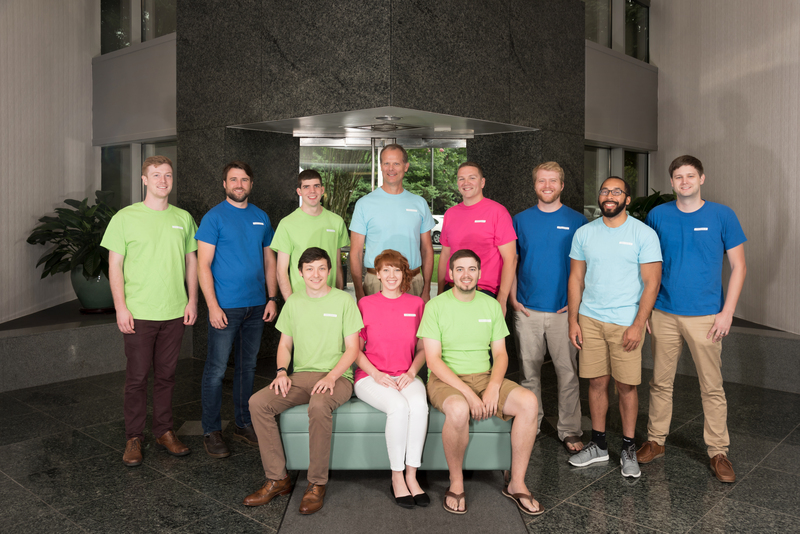 Ameronix quickly found a niche in offering custom solutions for business technology growing pains, and the team grew from there. To truly recommend the right tool for the job requires careful consideration of many factors, such as tools, languages and methodologies. Ameronix prides itself on thinking outside of the box to come up with the best fit solution for your needs. Our team members have cultivated and evolved our process into a first class option for new and existing customers. Ameronix provides website design and programming for businesses of all sizes. We can improve upon existing legacy systems, re-build aging websites, or create custom applications from scratch. Our core group of customers is in and around our office in Virginia, but we serve a much larger geographic area including Washington D.C., Maryland, and North Carolina. Ameronix helps clients solve their technology problems with custom built solutions because every business and problem is different. We offer a wide range of services, but we specialize in helping small businesses solve bigger problems with new technology. We can create custom inventory management systems which are integrated with your shipping software to improve the level of automation in your business. If you have a large amount of data which is slow to access, we can improve your database management to increase query speeds and improve your workflow, for example. We have worked with a varied array of customers over the years, from local brick and mortar stores to billion dollar corporations, such as Nasdaq. This wide range of experience allows us to provide a technology solution which fits your business size and needs. In the beginning, customer-facing websites and internal web-portals can be well-served with mainstream, packaged solutions, or open source software. But as traffic, data, and services expand, so should your technology. Discovery - through a process of surveys and meetings we’ll gather all the information we need to have the best understanding of your business and goals. Architecture - just like a building, a website needs a solid blueprint. Together we’ll determine the best way to organize your website and sketch out a rough outline. Development - with all the necessary architecture, content, and design elements in hand we’ll create the first working version of your website. Launch - getting your website “go live” ready will inevitably require several rounds of revisions and polish. Once the website is ready, we’ll go through the final launch checklist. Warranty - your site is now live! Over the next few weeks our team will be training you on how to manage the website and helping you solve any issues. Overall, we treat every website for the unique product that it is. Fees are calculated based on the number of hours worked, and hours to project completion is closely estimated during the scoping and proposal process. Finding the right web development company to suit your needs can be difficult. It is important to have a company that will listen to your needs and wants and meet those requirements, while helping to guide your decisions with their own expertise. Here at Ameronix, we have handled a wide range of projects and can help you make the right decisions about your technology design in order to optimize the user experience, workflow, and level of integration. We are a small business that strives to establish close relationships with our clients. We understand the needs of other small businesses and that helps us tailor our solutions for you. We offer competitive pricing for the local market by charging an hourly fee for billable hours worked on a project, and keeping hours in check through project management and budgeting. A fee will be presented along with an estimate of hours to completion during the proposal stage. We follow a Plan, Design, Build process. The Plan phase will begin with discovering the customer’s goals and roadblocks. Next, we will research and brainstorm to choose the technologies and architecture that can produce results most efficiently, create a proposal, and ask for feedback from the customer. Ameronix began offering desktop and server support for First National Brokerage. We quickly discovered that much of the work could be automated with PHP scripts, and our skill set in business solutions grew from there. We work with companies of all types and sizes, and specialize in helping new businesses grow. Most often our customers are involved in start-ups, e-commerce, or business to business services. Dorsey Wright was a budding advisory firm who came to us needing a professional-grade, secure, modern website to handle sensitive financial data. Over six years, Ameronix developed with Dorsey Wright until they became valuable enough to be purchased by Nasdaq. What advice would you give a customer looking to hire an web development agency? Don’t buy into hype. Business is sink or swim, and you want an agency that is not going to weigh your company down chasing the latest fads, or wasting time and money on non-value-added work. First, know your business. An agency can build your dream website, but success comes from realistic goals and finding a valuable place in the market. Ask what market experience the agency has that can best leverage design decisions for meeting your goals. Ask about their project management process, and how they will measure results on your project.